Used this garage for the first time this week and was very impressed. The guys were honest and genuine, they told me the exact problem without using any jargon. They completed the work on my car in good time and for a competitive price. Will definitely be using them again and would happily recommend them. Thanks Fletch and Tinny. 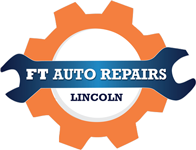 Great service, sorted my car on the same day at a weekend which most places wouldn't do! Cheaper then anywhere I've taken my car before. Would definitely recommend..